Climb the Great Wall of China, visit the Terra Cotta Warriors and see the Forbidden City. 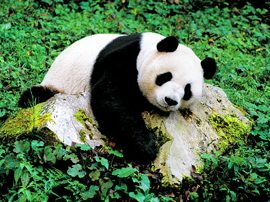 Explore the home of the Dalai Lama in Tibet, spend the afternoon at the Giant Panda Breeding Research Center and tour the Jewish Quarter of Shanghai. Embark on the journey of a lifetime and discover 5,000 years of history as you share the untamed spirit and rich culture of China and Tibet. 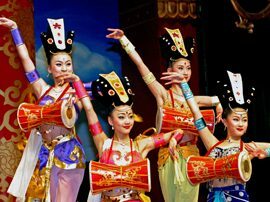 From the magnificent Terra Cotta Warriors of Xian to the vast Great Wall of China and the Jewish Community of Shanghai, experience major attractions, authentic cuisine and culturally-inspired entertainment. Explore vibrant cities and ancient empires of long ago, including Lhasa, the holy city and remote capital of Tibet. We look forward to hosting you in China and Tibet for what promises to be an amazing journey, all with a great group of Jewish singles. 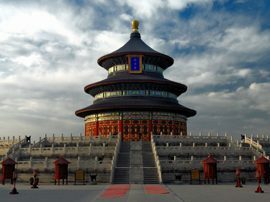 Board your flight to Beijing as you prepare to discover the mysteries and wonders of China and the Tibetan Highlands. 1) Alternate hotels may be utilized. 2) Air schedules are subject to change. 3) Itinerary inclusions may be altered subject to weather or other unforeseen circumstances. 4) The price of the tour package does not include international or intra-air flights. 5) Roundtrip airport-to-hotel transfers are included when purchasing our international group air package. If you have arranged for your own flights, we are pleased to provide you the option of purchasing transfers. 6) The order of this tour may change. After October 25, 2018, rates increase $100. A deposit of $450 is due with your reservation. Final payment is due on March 1, 2019. If final payment is made by check, save $100. C) Intra-Air (4 flights) $1392. Transfers from international flights are not included and transfer options for purchase will be offered as we get closer to the travel date. Business class for international flights may be available at an upgraded rate upon request. Helpful Hint – If you are not able to get round-trip airfare from your home city to Beijing for less than $600, it makes sense to select one of the International flight packages listed above. Please note: A group flight consists of at least 10 passengers traveling together on the same itinerary. If we fall below this number, we may be unable to provide air for the price listed. This is a group exclusive vacation package. We are unable to make any of our package components available to anyone who is not part of our Amazing Journeys group. Cancellation Policy: From the time of deposit until January 16, 2019, there is a $100 penalty for cancellation. From January 17 – March 1, 2019, the cancellation penalty is the amount of the deposit. From March 2 – April 2, 2019 the cancellation penalty is 25% of the total package price including the selected air package. From April 3 – 16, 2019 the cancellation penalty is 50% of the total package price and 100% of the selected air package. From April 17, 2019 until the day of travel, the cancellation penalty is 100% of the total package price including the selected air package. Cancellations made on the day of departure and “no-shows” will receive no refund. There is no refund in the event of interruption or cancellation after the start of the journey. Passport: A passport is necessary to travel on this itinerary. It must be valid for six months beyond the last day of the trip. A blank page must be available in the passport in order to place a visa from the Chinese Embassy inside. Visas: A Chinese visa is necessary to travel on this itinerary. Amazing Journeys will provide information so that you may obtain this visa. The cost of the visa is approximately $180 for US citizens. If you are a citizen of a country outside of the US, you will need to contact the Chinese Embassy in your own country for visa requirements and for obtaining a visa. A Tibet Entry Permit will be provided. Please note that all visa and reciprocity fee information as well as rates may change from time-to-time. It is up to the individual traveler to know the most current rules before traveling. Currency Fluctuations: In case of currency fluctuations greater than 3% on our package, we reserve the right to adjust our prices accordingly in order to operate the tour. Taxes and Gratuities: All taxes, surcharges and government fees have been included in the cost of the tour package and are subject to change. Gratuities have been included on this tour. Tips for the local drivers, guides, specialty guides, luggage porters and included meals are included in the cost of the tour. Air and Airport Transfers: International or domestic airfare is not included in the tour rate. Passengers must select one of the flight packages listed on the Pricing Tab of this website. A group flight consists of at least 10 passengers traveling together on the same itinerary. If we fall below this number, we may be unable to provide air for the price listed. Transfers from international flights are included for those who have purchased our international air package (options A and B). Transfers for those who have purchased Intra-China air only (option C) are not included and will be offered for purchase as we get closer to the travel date. For your international flights, it is important that you not purchase airfare until you receive a confirmation letter from Amazing Journeys which will contain specific flight parameters.